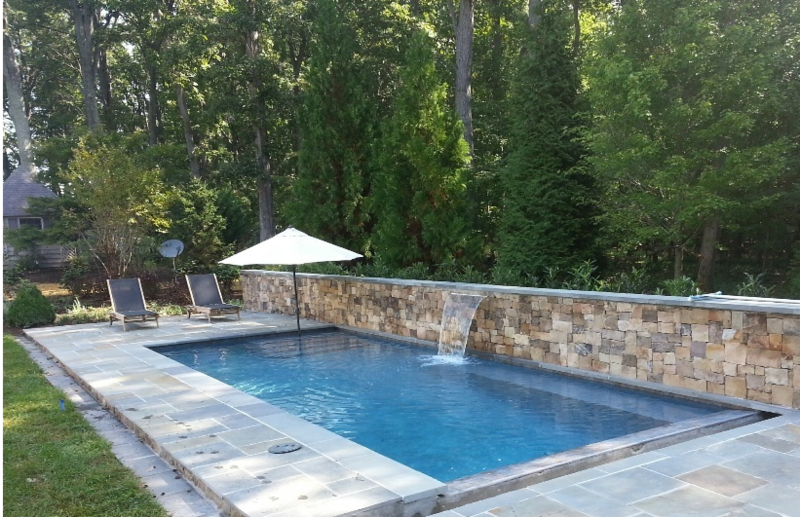 A pool is one of the most exciting features that you can add to your backyard in Northern Virginia. It has the power to transform your property from dry and drab to one of the coolest and most refreshing places in your world. When you add a pool to your yard, you go from having a backyard where there likely isn’t that much to do to an environment where you’re going to want to spend all of your free time. Whether it’s lounging poolside reading a good book, sipping on a drink, taking a dip on a hot day, enjoying family time, or even cooking up some burgers in the adjacent outdoor kitchen then dining al fresco, you’ve now got a full weekend’s worth of enjoyment waiting for you. However, jumping into the luxurious pool life is obviously going to require an investment. After all, you can’t take a backyard to a whole new realm of outdoor living without spending some money on that transformation. 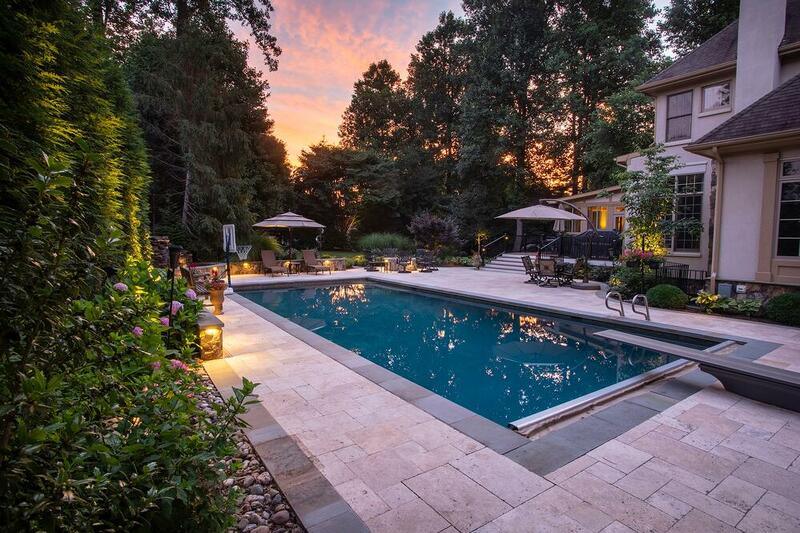 But you’re likely wondering just how much does a pool cost in Northern Virginia? You want to know an inground pool cost and you want honest answers. Like any other project on your property, you likely understand that under-investing is going to result in a finished project that perhaps doesn’t fully live up to your dreams. But you also want to have an understanding of exactly how much you’re going to need to spend to create that high-end pool you desire. When it comes to getting an idea of cost, you can easily find some numbers online. 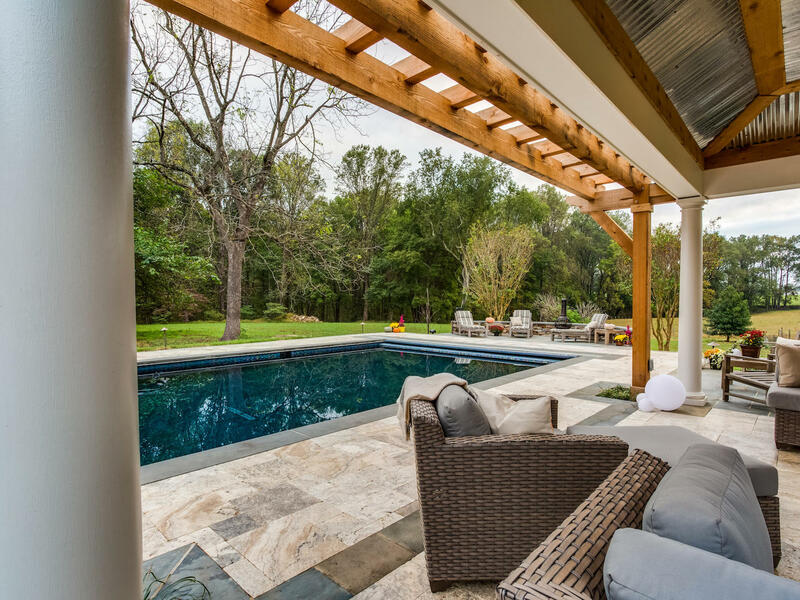 Unfortunately, we think that a quick search of the average inground pool cost in Virginia is going to lead you astray when it comes to understanding true pool costs. These initial figures are often shocking to homeowners as they end up speaking to a true pool professional with an accurate estimate. 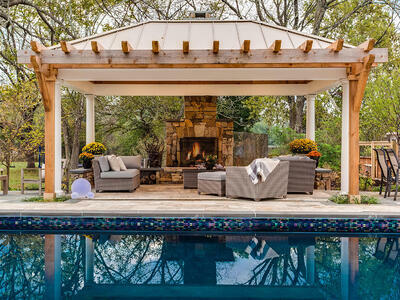 According to the web, the average cost to install a pool in Northern Virginia is $50,000. So, what could you actually get for $50,000? Most likely, a very small pool and absolutely no surrounding patio area or other amenities (in or outside of the pool). The pool may even be constructed from an inferior product like fiberglass or be a vinyl lined pool at that price point. It will not include automation, saltwater, or a heater. You see, the problem with searching online for the cost to install a pool and coming up with an arbitrary number is that it likely doesn’t include what you’re picturing in your mind when you imagine your new pool. This number is truly the bare bones answer and lacks all of the add-ons and features that will make your pool fully usable—and also highly unique. It’s not only a basic pool, but it’s just the basic pool itself (often with absolutely nothing but a muddy backyard left behind). That’s why we’d say that the starting point is closer to $100,000—and even that is leaving out quite a bit of the features that most of our clients desire. We install full-size pools (on average around 20 by 40 feet), not tiny ones that are hardly usable as you might get for a cheaper price. After all, your game of Marco Polo should last more than five seconds. 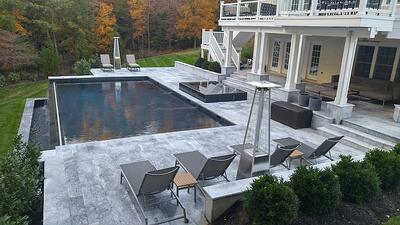 Most pools that we install are around $150,000 to $200,000+, including important amenities. After all, you wouldn’t want a pool without a patio or even one with just a tiny little concrete patio that doesn’t include other features like fencing, landscaping with plants, lighting, important pool equipment, storage, an extensive patio space with features like a fireplace, pavilion, and more. Ultimately, what you choose for the space will dictate your final cost. At Rock Water Farm, we can handle the design and build of all of these features to give you the complete package. It’s important to be honest with yourself and your pool builder about what it is that you really want so that you don’t get your hopes set on an unrealistic price only to have them squashed when you find out how much it really costs to have everything you want. The size and space of the pool are two of the big factors impacting its cost. It likely comes as no surprise that a larger pool is going to cost more than a smaller one. Depth can also a factor to consider that will contribute to the cost—if we hit bedrock and we have to jackhammer it out. Then we have the conversation of changing the depth or proceeding with the additional cost of jackhammering the rock out and hauling it away in some cases. Generally speaking, most of the pools that we install are one of two sizes. A traditional 8-foot deep end or a party pool that is 5 to 6-feet deep in the center with shallow ends on both ends of the pool versus just one end being deep. Speaking of excavating, the site conditions are another contributing factor to cost. For instance, very rocky soil that requires large equipment to excavate is going to cost more. Similarly, the accessibility of your site, that is how easy it is to navigate your space with large construction equipment, will play a role, too. Another factor that will impact inground pool cost is engineering and permitting requirements. It’s important to know that permitting is based upon your locality and they're frequently making changes. 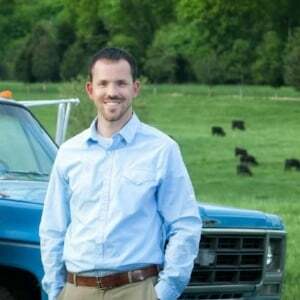 Loudoun County, VA currently has a permit cost less than $500 but other counties in the area can be $10,000 or more, especially if you are close to water and have to contend with Chesapeake Bay nutrient fees. Some counties require an additional grading plan that must be stamped by an engineer, while others do not. When we have to get the engineers involved, their fees are typically $7,500 to $10,000 plus additional permitting fees associated with it. The price can go up from there. Of course, engineers are always involved with the structure of the pool, so that cost is already factored into our new pool construction prices. These drawings must be stamped by an engineer for the municipality to approve them. Here’s the thing about the type of pools that we install—they’re never just a pool. We simply don’t perform that kind of work. And that’s a really vital fact when it comes to their total cost. There are certainly pool companies out there that will throw in a cheap pool and move on. These types of companies are the same that are trying to install as many pools in a season as they possibly can. But these same companies fail to put together a “complete space” which is what you’ve likely envisioned (and will most likely end up paying for in the year to follow). In fact, these pool companies in Ashburn, Aldie, and Leesburg, VA are often not worried about the space around your pool at all. They’re just slapping in a pool in and moving on. We’ve seen these pools. We’ve even been hired by unhappy homeowners who were left with these types of pools in order to fix the space. In the worst case scenarios, we’ve seen where the lack of thought put into a pool installation has lead to serious problems such as drainage and runoff issues which made the space unusable. We’ve even seen where a pool company dug up the whole yard and left mounds of dirt behind—because they were never doing anything more than just the pool. Ultimately, these failures end up costing the homeowner in the long run. In fact, fixing problems that were created may cost them more than it would have if they’d just had the pool installed the way they truly wanted from the onset. Like anything in life, trying to cut corners to save some money is usually a recipe for disaster. It’s also important to mention that our “standard pool” is actually a relatively loaded pool, at least compared to what you’re seeing if you’re looking at what’s considered “standard” online. The features that we include in our base price are likely all upgrades for other companies. Our “standard” includes some patio space with natural stone and basic landscaping around your pool. As far as the pool itself, it also includes top-of-the-line equipment, LED lighting, computer-based smart controls that can be operated by a smartphone, and high-quality materials. For instance, we include colored plaster in our “standard” price. Other pool companies don’t do this and we think that’s misleading. Nobody wants a white plaster finish on their pool these days so we just start off our packages with color plaster already included. With other companies, you’d have to ask for it and it ends up being an upgrade. We don’t believe in nickel and diming for every single upgrade out there. Our philosophy is focused on including everything that should be included in a pool in this day and age from the onset. After all, a modern pool should have smart controls and high-quality equipment from the onset so that you’re not just replacing features down the road that you wish you had asked for from the start. Of course, we also have upgrades that wouldn’t be included in the base price. Here are some upgraded features that we consider add-ons, which are popular with our customers and will make your pool even more unique. 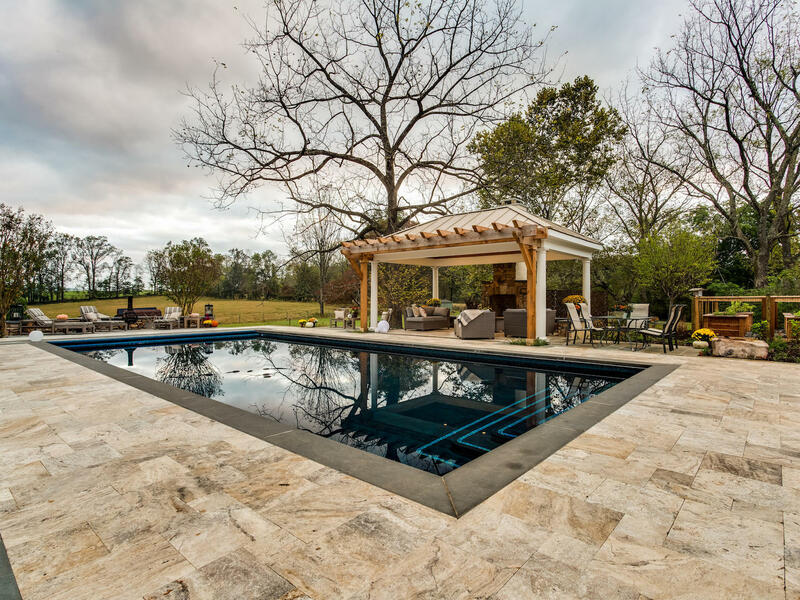 At Rock Water Farm, we build “complete outdoor environments.” If that’s what you’re looking for, then we just may be the right fit for you. But we want to be clear that we are not out to be the cheapest pool builders in the area. There are companies that will do that, but it’s not what we’re looking to do. We’re not looking to install as many pools as we can in a year. We’re out to construct complete, amazing backyard pool areas. We believe that your backyard isn’t just about the pool. It’s about the memories—and that’s why you want a complete outdoor living environment that truly has it all. After all, once it’s in, it’s yours, and the last thing that you want is to wind up with a mediocre pool that doesn’t live up to your dream. If you go the cheap route, you may find that you now need to fix it to bring it to the level you want and that’s going to mean more investment and more hassle over time. Instead, you could have the pool of your dreams from the onset if you choose the right company to see it through (from start to finish) the right way. Are you ready to talk to an expert about designing and installing a complete backyard pool area at your Ashburn, Aldie, Leesburg, or Warrenton, VA home? If so, talk to an expert, choose a solution that rocks, and get ready to see your dream pool area take shape.